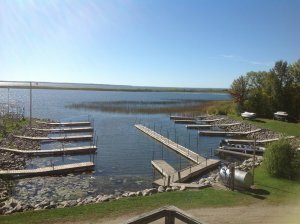 New Leech Lake Campground has an easy access boat launch ramp and a harbor recently updated with a floating dock system. The docks in our harbor will help protect your boat from the storms that can come from the south across Leech Lake. Please remember to bring your own boat ties and bumpers and you will be set.